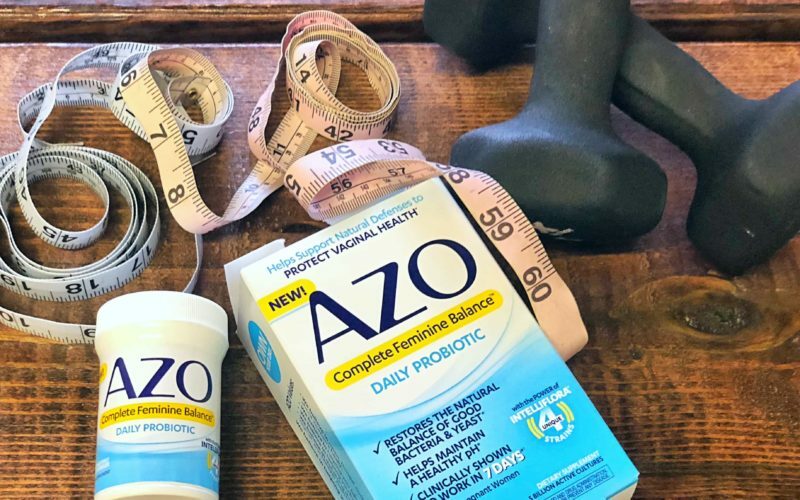 This post was sponsored by AZO and SheKnows Media. Let’s be honest, being a mom is exhausting. From cooking to cleaning to changing diapers and preventing injuries… there’s a lot going on every given moment. But when you have some time to yourself, whether for a few minutes or a glorious hour… you feel refreshed and have more patience to deal with mom life. When you’re a mom, though, me time isn’t always easy to find. However, there are some ways to sneak in some me time throughout the day even when you’re constantly running around with your kids. Me time is crucial for your sanity and balance, so it’s definitely something you should be intentional about. Whether your me time involves exercising or just laying in the tub, you need it and deserve it! Remember, no one else is thinking about the fact that you need some me time. So it’s up to you to prioritize it and let people know that time to yourself is not negotiable. P.S: A lot of things we do as a part of me time can disrupt your vaginal pH balance. Some examples are drinking alcohol, taking a long bath with bath bombs or salts, exercise, eating certain foods, etc. Since me time is important to have daily, it’s also important to make sure you keep your vaginal health in check. 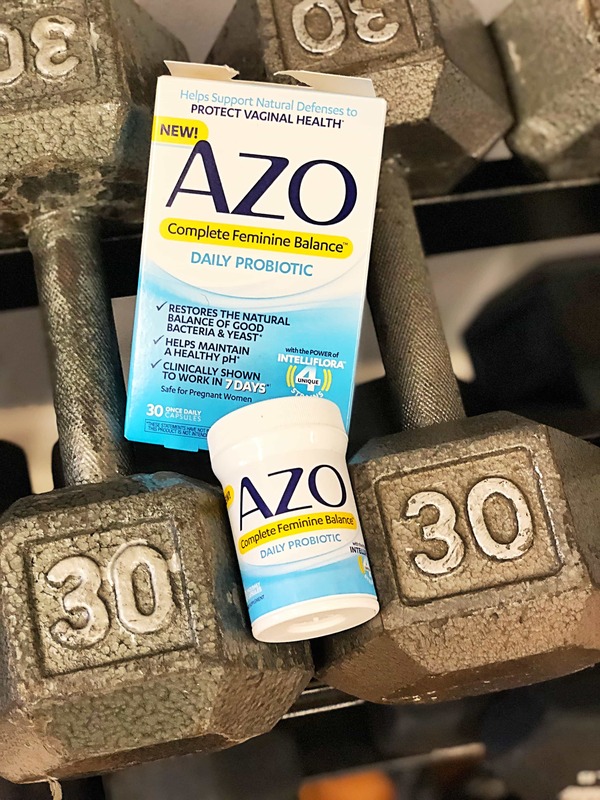 To do this I recommend using the AZO Complete Feminine BalanceTM Daily Probiotic, which is proven to maintain and protect vaginal health and a healthy pH. It’s safe and beneficial for all women, including pregnant women, so try it out momma. You can find it at CVS, Target, Walmart, Walgreens and even on Amazon. Ask your partner for help with chores that don’t necessarily need to be done by you. He can wash the dishes, mop the floor or do the laundry- you don’t have to do it all. Splitting chores evenly, if you don’t already, will free up some of your time and you can spend that time doing something you actually enjoy… alone. Carve the time in to your schedule. Let everyone know that at a certain time mommy is going to take a break every day. That means your partner will need to watch the kids during that time, even if it’s just 20 minutes. If you don’t have help, carve that time in when they are sleeping. Instead of stressing over the toys thrown all over the floor, that are going to be thrown on the floor again, use the time you would spend picking them up and spend some time by yourself. You can pick up the mess later. When the kids nap or go to sleep for the night, be intentional about doing something you enjoy. Whether it’s watching a show or just laying in bed- do that. We tend to put the kids down and then rush to do housework, but you need to put yourself first. Sleep. When the kids are sleeping, sleep. You’re exhausted and sleep is a form of self care. You need rest and resting is me time. Hire help. If you can afford it, hire a babysitter for an hour or two so you can have some time to yourself. When I do this, it’s $20 well spent. Say no to extra activities that can eat away at your alone time. School committees, neighborhood groups and volunteering are all great causes, but try to keep your own sanity in mind. There’s no need to overdo it. If you feel conflicted about taking some time for yourself, you’ll defeat the purpose so let go of that guilt! Don’t worry about the errands you think you should be doing or about your children missing you. Clouding your me time with worry won’t help anyone. Even on your busiest days, finding just 15 minutes of downtime is necessary for your own health. Be the best mom you can be by taking the time to relax and refuel.